Like an eternal guardian, the “Majestic Oak” tree by which our label was modeled, has grown and looked over our family for generations. It has seen horses graze its pastures, go-karts and motorcycles make tracks, and watched proudly over family weddings. Now, its peaceful presence overlooks our estate vineyard and winery. In many ways, the tree symbolizes the energy, passion, and growth our small boutique family winery. 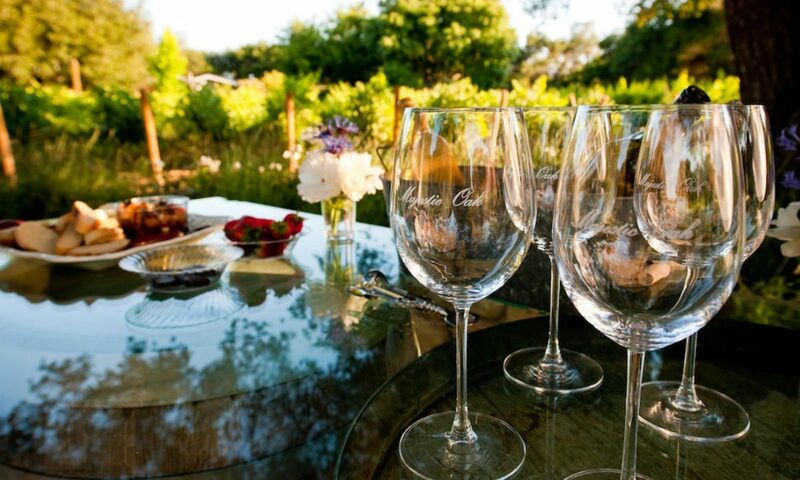 At Majestic Oak Vineyard, we believe in family, sharing our passion, and celebrating life with loved ones. Our winery is owned and operated completely by family but, we whole heartedly believe that once you become one of our customers or take part in one of our vineyard events, you are a part of it as well. Along with the help of beloved friends, everything from yearly harvests, crushing, and bottling are done completely by hand on our property. Wine should not be pretencious and come with a sense of entitlement so, we approach sharing our passion as a celebration. We invite you to partake in our wines with enjoyment and no snobbery. 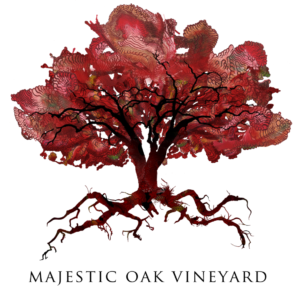 Be a part of our little Majestic Oak Vineyard family. We are centrally located in downtown Ojai between the park and Ojai Pizza. Just walk through the brown gate and down the stairs. Join us in the cellar-like tasting room or bring a picnic and hang out in our very shady patio.